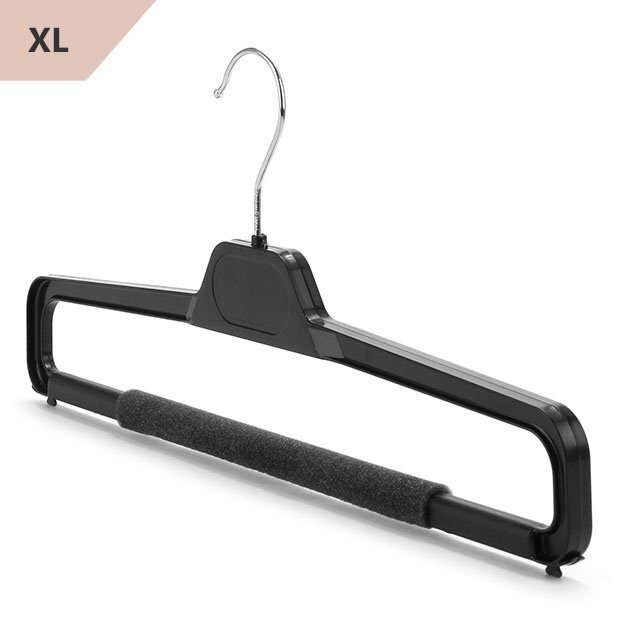 High quality black plastic trouser bar hanger with foam protector sleeve. Anti-slip foam sleeve prevents trousers slipping off and minimises creasing at the fold. Extra wide; suitable for larger size trousers. Useful where available wardrobe hanging length is limited. For a smart & tidy wardrobe - and retail outlet! Good products "did what it says on the tin"